A cream cleanser – but it’s more of a soap-style texture. It’s aimed at oilier skins, but I’m dryer and dehydrated and love it. It smells like soap – deliciously so. I apply to dry skin, wet my hands and massage it in. Less is more. Add more water rather than product to build it up. Great for summer, but I would use this in the mornings in winter. I only go as far as the orbital bone, not actually over the lashes. The menthol would sting. How long was it tested for? I’ve had it for a month and used it sporadically throughout that time. 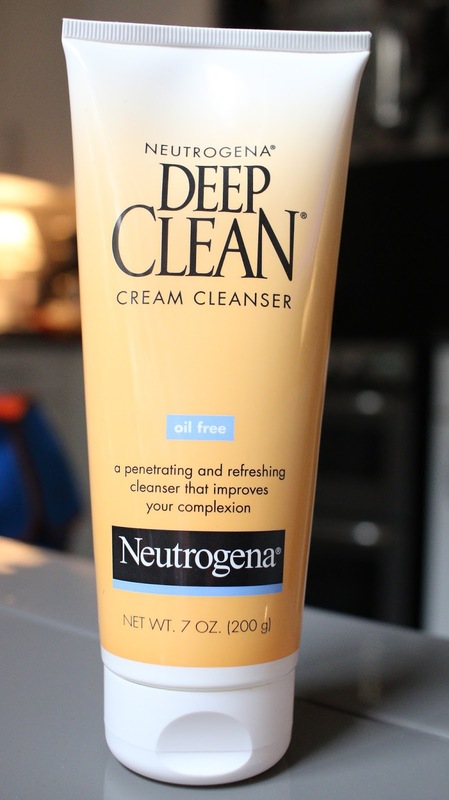 I should absolutely hate this cleanser. But like carbs, even knowing that it’s not the best for me, I love it. It feels almost like a creamy soap, it has menthol in it, I mean it’s so far from a glowing example of cleansing product. However: the formulators have somehow made it soft, smooth, gentle and non-drying. The menthol is refreshing rather than burning, and although completely unnecessary in a cleansing product, it honestly enhances this one for me. Can’t actually believe I’m saying all this, but there we are. I find myself reaching for it over much more ‘clean’, expensive cleansers in the mornings. It doesn’t dry out my skin and if anything my skin feels softer after cleansing. I would assume that this is down to the salicylic acid, but I sense that the amount of salicylic in this is minimal, because otherwise, being from the US, it would have to be listed as an ‘Active’ ingredient with a drug labelling. I don’t know what to tell you. I’m as surprised as you are. If used twice daily, or even daily, it could possibly become drying. But used in the mornings a few times a week, you should be fine. Don’t be led by my strange love for it, if you have a problem with fragrance or menthol, obviously steer well clear. $5.99 for 70z/200ml. A ridiculous bargain. Yes, if you want a quick, easy, cleanser that is beyond affordable. In the US, it’s everywhere. Target, WalMart, Duane Reade, CVS etc. In the UK, it’s not so freely available in chemists and supermarkets. Sort it out Neutrogena please. For the price range, it would be the CeraVe, Neutrogena (other products) and chemist cleansers along the lines of La Roche Posay, Avene etc, but I have yet to find anything similar in texture and results for the price.